To ensure maximum security for your home, SF Locksmith specialise in replacing locks on homes and commercial properties, all with Insurance approved locks. SF Locksmith are a local, Rotherham based locksmith company serving all customers in the area and beyond. With over 20 years experience of repairing, fitting and replacing locks on all types of doors and windows, you can be assured that however small or complex the problem, we will have the solution and be willing and able to fix it. For a free, no obligation quote or just to ask for advice, call us now to arrange a visit to your home or office premises. In the event of a burglary, our professional and experienced locksmith can deal with this stressful situation in an instant. The necessary locks will be changed and any other damage that has been incurred will be repaired. The benefits to you will be that only the highest quality products, all of a British Standard, will be offered to restore and improve your future security. Our fitted products come with lengthy guarantees and have proven records to re-establish protection further, whether you have a uPVC, wood, composite or aluminium door. 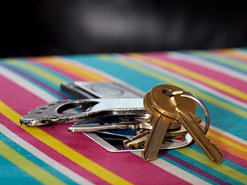 Losing your keys, or having a snapped key in the lock, can be inconvenient but we can help to make it less stressful. If you are locked out, SF Locksmith can gain access to your home or property quickly and efficiently, changing the locks, if required, with the minimum of disruption. If the key has snapped in the lock we will endeavour to extract the broken key first, and only replace the complete lock as a final decision, saving you the cost of a replacement. Only top quality locks that are approved for insurance standards will be fitted, and if extra keys are required, they can be cut at the same time with our mobile key cutting machine. Are you locked out of your home or workplace? SF Locksmith are here to help you get back in quickly and conveniently. Our 24 hour emergency call-out service ensures that you'll be back inside, usually within the hour. 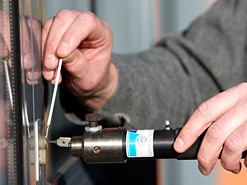 Our abundance of locksmith entry skills help to minimise this difficult time. 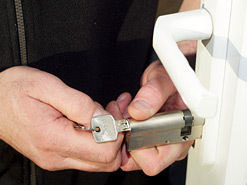 The aim will be to gain access in the quickest possible time and only look to replace the locks at your request.